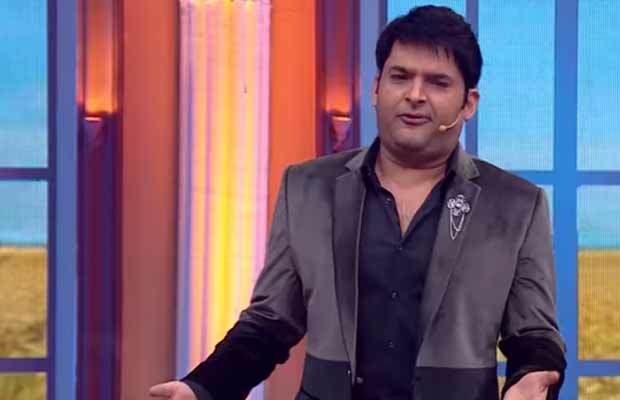 Watch: Kapil Sharma Failed To Turn-up At A Media Event, Here’s What Happened Next! Kapil Sharma is nowadays busy in promoting his next film Firangi. But his fans still want him to be back with his comedy show – The Kapil Sharma Show. Kapil Sharma has done it again as he ditched a media event at the last moment! The comedy king Kapil Sharma had already invited a lot of flak by continuously cancelling shoots with Bollywood celebs. He used to make the stars wait for a long time only to cancel the shoot at the end. Later, the comedian gave his health issues as the reason for doing so. He later got a treatment at an ayurvedic centre in Begaluru. But it did not end the row of shoot cancellations. As even after getting treated he canceled a shoot with Akshay Kumar. And now he has done it again! Kapil recently failed to turn up at a media event. He was supposed to attend the sixth edition of Agenda Aaj Tak, hosted by the channel. The event was organized in New Delhi on December 1 and 2. Kapil also skipped his friend Bharti Singh and Haarsh Limbachiyaa’s wedding celebrations. Read here:Kapil Sharma Skips Bharti Singh-Haarsh Limbachiyaa’s Wedding For This Reason? Coming back to the Aaj Tak event, the comedian had signed a contract with the channel. He had even shot the promos with them. And it was after that, that he ditched the event at the last moment. When Kapil did not show-up, the channel was obviously angry. It caused a huge loss to the organizers. The reporter announced it in front of everyone what the comedian did. She mentioned the contract, the promos and also that a room was booked for him in the same hotel. Talking about Kapil Sharma, he is currently on the big screens with his second film Firangi. Starring Ishita Dutta, the film hit the screens on December 1, this year. It has performed average at the box-office, with the weekend collection of Rs 6.3 crore. Previous articleBigg Boss 11: Arshi Khan Gets Touchy With Hiten Tejwani, Gets Into The Pool With Him-Watch Video! Next articleArjun Kapoor Gives Us Glimpse Of Ranbir Kapoor Losing His Cool!